Month of the Military Child activities and events reaffirm the Army’s commitment to ensuring excellence in schools, childcare and youth services as well as providing a strong supportive environment where children can thrive. 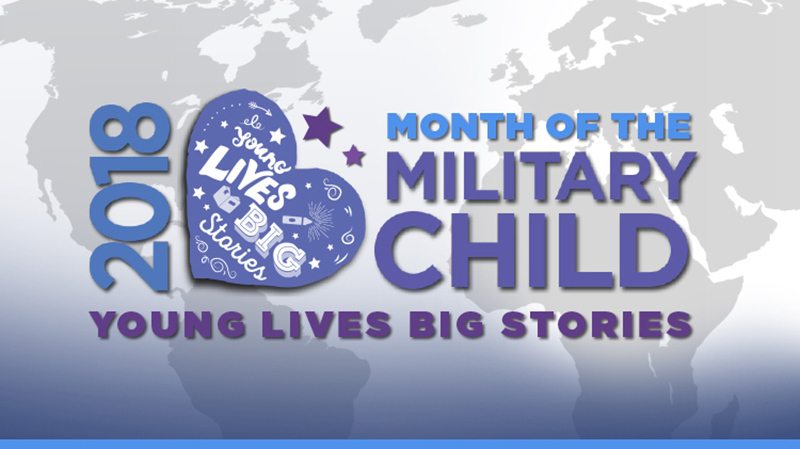 USAG Bavaria celebrates the Month of the Military Child with the Young Lives, Big Stories Contest. A panel of judges from Installation Management Command Headquarters selects the winners. Prizes include LeapFrog LeapPad Tablets, iPad Minis, Xbox One, and iPad. The grand prize will be an Apple Laptop. To enter, visit Youth Centers at Netzaberg, Rose Barracks, Hohenfels or Garmisch, or connect to www.armymwr.com/momc. The Young Lives, Big Stories contest runs April 1-30, 2018. Deadline for submissions is 11:59 pm CST April 30, 2018. The contest is open to children of Army Active Duty, National Guard, Reserves, and Retirees. For more information on the Young Lives, Big Stories contest, visit www.armymwr.com/momc.